Since Zytech Solar’s arrival on the American continent five years ago, it has marketed several MW of modules. Nevertheless, in recent months sales in this zone have risen significantly and photovoltaic installations with Zytech modules, the majority off-grid, have surpassed 1000kW. But beyond quantity, what really satisfies the Zytech people “is the great human, social and environmental value of some of these projects”. 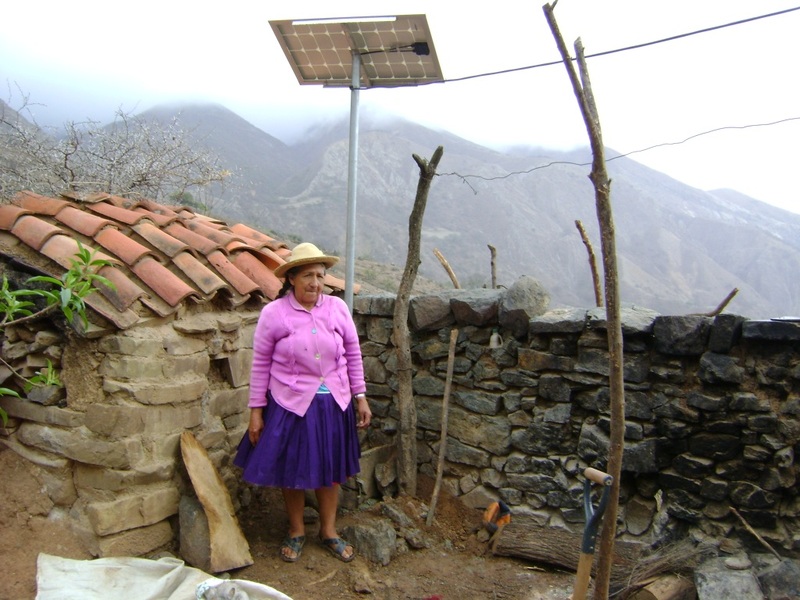 In the words of Enrique Zueco, president of Zytech Solar, “a few photovoltaic modules and some batteries in certain remote communities make the difference between spending the night in darkness or in light, having a night school for adults, a medicine cooler, a computer or Internet connection, even the ability to sterilize water. That’s why we are so proud that our photovoltaic modules are being used by many people in remote areas to improve their lives so significantly”. One example of the applications for which Zytech modules have been used are the 400 off-grid and hybrid solar-wind installations (with a mini wind turbine) of 1000Wp and 1100Wp in Bolivia, El Salvador, Guatemala, Paraguay and Peru with Zytech monocrystalline modules of 160Wp and 170Wp by CYMI. This project, as part of the Euro-Solar program, has a total budget of 30 million Euros, cofinanced by the European Commission (80%) and benefitting countries (20%). The cooperative project brings rural electrification to remote communities outside the electrical grid enabling basic, valuable infrastructures. The EURO-SOLAR program is a pioneer initiative at world level of EuropeAid. The program’s primary goal is to promote renewable energies as the motor of human development in the eight most underprivileged countries of Latin America: Bolivia, Ecuador, El Salvador, Guatemala, Honduras, Nicaragua, Paraguay and Peru. Depending on the country, the Ministries of Education or Energy and Mining run these projects according to the needs of their remote communities. As part of this project, communities are provided with a 100% renewable energy health kit, for vaccine and medicine coolers and water sterilization systems, and/or education kit, to supply computer equipment. The kit installed in each of the benefitting rural communities comprises, in addition to the energy generating system, five laptops, one multifunction device (printer and scanner), one projector, equipment for Internet access via satellite (antenna, ODU and IDU) and voice over IP, a water purifier, cooler and batteries. EURO-SOLAR is an integral program: it is not limited to the installation and start-up of equipment, but includes the training of community members in the running and maintenance of the equipment and supports beneficiaries in the development of basic education, health and information technology services and the promotion of productive activities. The final beneficiaries of the program and future kit owners are estimated at more than 300,000 people from 600 rural communities, who are currently not connected to the electricity supply grid. These latest generation lamps, are found in the majority of Latin American countries and are an excellent alternative solution for economically disadvantaged inhabitants. The lamps can be regulated to three light intensities by the user, with a duration of 5.5, 16 and 55 hours with a single charge thanks to LED technology. As an added value, its batteries can be used to recharge mobile phones and other similar devices. They are, therefore, invaluable to isolated communities without access to the electric grid. Zytech Solar, with corporate headquarters in Spain and subsidiaries in Germany, France, Italy, Benelux, USA and China, is a leading manufacturer of photovoltaic modules. The constant obsession for quality and the pursuit of technical innovation through the R & D department ensures products and systems with long life and high efficiency. Zytech Solar belongs to the Zytech Group of companies. Zytech Group is a Spanish group of companies with international presence with activities on the five continents. Specializing in the production of photovoltaic modules, photovoltaic systems BIPV (BIPV) and independent PV systems, the other group companies are engaged in the manufacture of small wind turbines (Zytech Aerodyne), solar lamps, solar power equipment and electric vehicles (Zytel). For further information, please contact Rafael Diranzo: rdiranzo@zytechsolar.com / +34 607 528 053.